Alicia Pyle, left, and Trinell Armour open RiverDrums 2017 on Sunday with jazz standards. 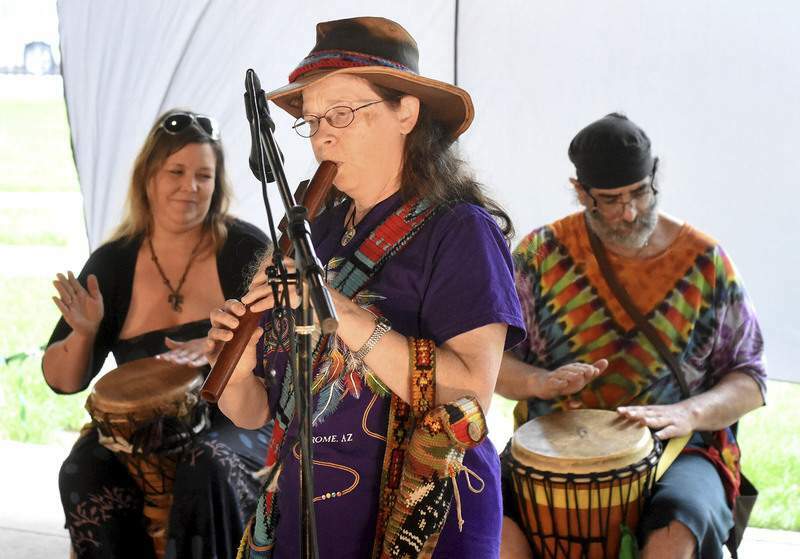 Performers of all types – musicians, dancers and storytellers – filled the Rothschild Pavilion at Headwaters Park with art Sunday during RiverDrums 2017, an event inspired by a 2014 canoe trip from Fort Wayne to Toledo. 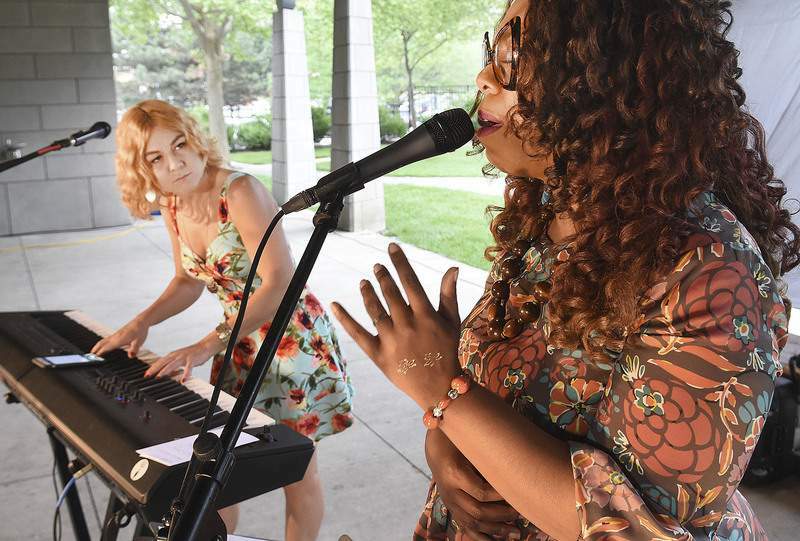 The idea for RiverDrums – an event celebrating Fort Wayne's rivers and cultural diversity – took root in organizer Terry Doran after he joined members of the Save Maumee Grassroots Organization on that spring journey to the Buckeye State. Their ability to work together without bickering and their dedication to nature and the Maumee River – something greater than themselves – impressed him, he said. Doran's sprig of an idea marked its second year of fruition over the weekend as a two-day event meant to emphasize how “we're all one people,” Doran said, adding he is tired of divisiveness. Forget skin color, age and income levels, he said. “We're human beings,” he said. Lydia Lamont, a Save Maumee member who helped plan RiverDrums, said that message and its celebration of the rivers appealed to her. The inclusive atmosphere is particularly welcome in today's political climate, she said. RiverDrums was a presentation of Three Rivers Arts Center for Kids, or TRACK, which Doran founded. The lineup of performers was complemented by other attractions, such as face painting and Ruby, a red-tailed hawk, from the Soarin' Hawk Raptor Rehabilitation. “She loves being outside,” Kim Westfall of Soarin' Hawk said, with Ruby perched on her arm. Attendee Ken Miller of Fort Wayne said he likes coming to events downtown because he never knows who he will meet or run into. RiverDrums connected him with someone he only knew through Facebook: musician and artist Frank Allen, who performed Sunday. He had just laid copies of his coloring book on a table when Miller caught sight of them – and him. “These are great, man,” Miller said, introducing himself to Allen. Miller, who came to RiverDrums with his wife and three children, offered only one suggestion. “We were hoping to hear more drumming,” he said.